Relax and refresh your spirit on a beautiful lake surrounded by modern comfort. Enjoy your vacation at Birch Point, just off I-95 in Island Falls. Our modern facilities rest on the shores of beautiful Pleasant Lake. We have both housekeeping cottages and a campground, a lodge with bowling alley, arcade, lunch counter, a convenient laundry, plus complete recreational facilities. Here at the "Point", there is always something to do. This unique four season recreation area gets you away from the crowds and the frenzy of the big cities. A full range of summertime activity is here to challenge everyone, or just relax by the lake. In the winter come ride over 100 miles of groomed snowmobile trails right from your door, or try to catch that elusive salmon. 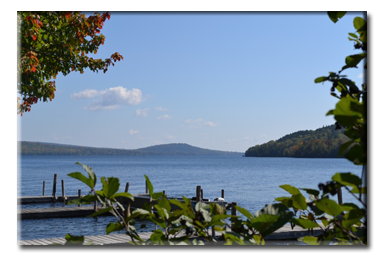 Pleasant Lake is one of Maine's finest spring-fed lakes. Its crystal clear waters and gentle breezes make the 5 mile long lake a joy to be on.